My name is Karen Shaw and I am in my fourth year as a Governor at The Iffley Academy. I am the link governor for special educational needs and I also serve on the Site Development and Teaching & Learning Committees. I became a governor because I wanted to be part of the bigger picture as it were and to help the school wherever I can to achieve the highest standard in all areas not just teaching, but also the welfare of the students in the school. I am a very proud parent of two children, Michael who left the Sixth Form in July 2013 and who is a child with a Speech and Language disability, Cerebral Palsy, moderate learning disabilities and who has recently been diagnosed with epilepsy and my other Son, Tom who has recently gained a degree in Business Management and works as a manager for Soll Leisure. I work 25 hours a week as a secretary for a local Independent Estate Agent with whom I have worked for the past 30 years. When I am not working I enjoy reading, walking, swimming, needle craft and spending time with my family. I became a Director and Governor in the autumn of 2014. I have worked in education as a teacher and then a researcher and teacher educator for almost 40 years, retiring from the Department of Education at the University of Oxford in September 2014. As well as being the Director of the Department for three years, I have spent the last fifteen years carrying out research on inter-professional collaborations to support children and young people. In addition to national studies, my research has involved working with Oxford City schools and with Oxfordshire County Council. 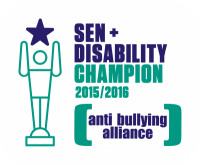 On a personal note I am particularly pleased to be able to serve The Iffley Academy, as one of my grandchildren, Jack, is autistic. I have learnt so much about the pleasures and strains Jack has brought my daughter and her family over the last six years, and only wish that, where they live, they could access the kind of support offered by the Iffley team. I am convinced that all children learn most effectively in an atmosphere that is safe, secure and fun, and the Iffley Academy provides this special environment for our special children in a very impressive way. My son started at the Academy in September 2015 as the youngest pupil in the school and it was amazing to see how quickly he settled in, thanks to the care and professionalism of the staff and I am impressed by their dedication and warmth to help the children achieve their potential. My background is in advertising and marketing, and now I teach modern languages at a local independent school but I also want to give back to the Iffley Academy what they do on a daily basis for my son. I therefore joined as a Parent Governor in early 2016. I am keen to be involved in helping to shape the future of the Iffley Academy, building on the excellent work that is already in place and hopefully allowing more children to access this wonderful learning environment. This is my first year as a Teacher Governor at The Iffley Academy and looking forward to being part of the wider school community. 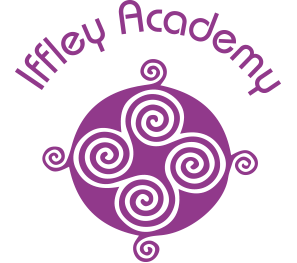 I joined The Iffley Academy in 2017 as an NQT in my first Teaching Post. I originally trained as a Primary Teacher and have a degree in Early Childhood Education, which has helped me tremendously in my understanding of child development and adapting provision for pupils with SEND. I work in the Tate Gallery of the school, supporting new and younger students in their start to life at The Iffley Academy. I absolutely love teaching and try to make learning as playful and creative as possible. I look forward to supporting the school and all our students as a Teacher Governor. I volunteered to become a governor at the Iffley Academy in January 2016. I sit on the Site Health & Safety Committee and I am the link governor for Careers, Independent Advice & Guidance. The main reason for volunteering was that after every visit to an assembly, open day or pupil review, I was always impressed by what I had seen. A combination of friendly staff, happy pupils and a calm homely atmosphere made it seem like a really nice nice place to be, which it is. My son Ben has been a pupil here since 2014 and we all feel that this is a place of learning where he belongs, rather than somewhere he just attends. I served in the Army for almost 40 years and since retiring last year, I now have the time to pursue other interests. As well as the Academy I also support the Samaritans Purse charity in the Southern Region during Operation Christmas Child, enabling the collection of up to 50,000 shoe boxes full of gifts which are distributed to children in Europe, Africa and the Middle East. I am Chris Woodward, and am proud to serve as Iffley Academy’s Support Staff Governor. I have many years experience working in schools and have worked my way up the ladder to becoming Facilities Manager. I have worked here at the academy since June 2014. As FM, my primary responsibilities surround Health and Safety compliance, reactive and planned maintenance, and management of external contracts such as cleaning and grounds maintenance. I take enormous pride in ensuring that the academy site and facilities are well presented, welcoming and safe for our children, and foreveryone who comes through the gates. Outside of work, I am an elected Councillor for Witney, currently serving as Deputy Town Mayor. I have 6 years experience in school governance having served on both primary and secondary governing bodies, one of which I was Chair of the Governing Body for 2 years. I am a keen supporter and trustee of the Witney Educational Foundation. I am really excited to join the Local Governing Body to see what other ways I can make our students’ lives here as fulfilling as possible. I joined the Iffley Academy Board in September 2017. Having spent many years in senior Human Resources jobs in large private sector and public sector organisations, including the Prudential and some London Boroughs, I decided to spend less time in work and wanted to find something else to do where I can help to make a positive difference. Most recently I have worked for organisations focused on supporting adults with disabilities or mental health conditions and I have developed a real interest in ensuring all people, however potentially disadvantaged, can have choice and opportunities in their lives. Clearly giving children a good and relevant education is fundamental to their having positive life chances. On a personal note my daughter works in a school for children with autistic spectrum disorder and through her, I have seen the real difference a good and relevant education can make. From my first contact I have been impressed by the energy, enthusiasm and commitment of the pupils and staff at the Iffley Academy. I hope through my involvement I can help continue the great work the team have done and support developments that will increase the opportunities for children to experience a great and caring learning environment. 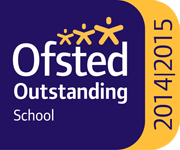 I have worked in education throughout my professional career, both in the UK and internationally. I had an exciting and enjoyable teaching career for 25 years in a range of inner city, suburban and rural schools, including over 15 years in senior leadership roles. I subsequently joined Oxfordshire County Council as a Schools Adviser, and as a senior adviser leading a team of curriculum specialists I specialised in supporting effective leadership and management of schools in challenging contexts. During some of this time I was the Schools Adviser working with the Iffley Academy and its predecessor school. I am the Chair of a local charity which grew out of the school partnerships between Oxfordshire schools and schools in Uganda. I now visit Uganda regularly to support and share my expertise with leaders and managers in local schools in order to improve educational opportunities and outcomes from young people in poor rural communities. Sian Rodway has a rich and varied background in Education and Childrens’ Services. Sian has worked in several Local Authorities as a secondary school teacher, Education/Schools Officer, special needs officer and more recently as a third tier officer/Strategic Lead for Performance at Oxfordshire County Council Children Services Directorate and Governor Services Manager at Oxfordshire County Council. Sian was responsible for the development of policy and the development and implementation of the Statementing Process in Oxford and Coventry Local Authorities. As an Education Officer, Sian was responsible for up to 50 schools within Oxfordshire and whilst in Coventry had joint responsibility for all Special Schools. Sian has extensive experience of policy development, Head Teacher enrolment and performance, SEND casework and an in depth knowledge of SEND Admission policies and HR procedures. Sian was lead officer for new schools and new building projects for the Local Authority. As Governor Services Manager, Sian completed numerous governance reviews for Oxfordshire schools and was a member and chair of task groups set up by the Local Authority as a consequence of schools being identified by the Local Authority or Ofsted as requiring improvement or needing special measures. Sian is very well placed to secure strong governance for the Trust. Sian took a driving role during the Academy conversion process in 2013 in her capacity as Chair of Governors. Sian has chaired the Board of Trustees since 2013, supporting Iffley Academy in 2015 when it received its Ofsted judgment of ‘Outstanding’. Sian has an MBA and applies her business knowledge to her membership of the Finance and Personnel Committee. Sian also chairs the Head Teacher Appraisal Committee and is the Safeguarding Lead for the Trustees, having worked in both these fields during her time at Oxfordshire County Council. Kay Willett has worked in special and mainstream education for 25 years. Kay was Head Teacher of Iffley Academy (formerly Iffley Mead School) from 2003 to 2018, during which time the academy increased its roll from 80 to 155, and is now Oxfordshire’s largest special academy. Kay is now Executive Head Teacher of Iffley Academy and Chief Executive Officer of The Gallery Trust. Kay’s extensive knowledge of SEND has developed through a variety of roles and in different contexts, including Head of Inclusion at an Oxfordshire Middle School, senior teacher at a primary SEMH school, heading up inclusion projects and an AP unit. Kay has a strong track record of providing School to School Support and acts as a mentor to Head Teachers and aspiring school leaders through her work as a coach for ‘Women Leading in Education’. Kay has served as Chair of Oxfordshire Special Schools Association, chaired High Needs funding block reviews (Oxfordshire), and works with the LA on the SEND provision map, growth strategy, and school improvement. Kay’s SEND and leadership expertise is complemented by her ability to identify and promote creative approaches and strategies, which are based on research and peer review, to enhance the curriculum and broaden the range of opportunities for pupils at school and in their future lives. For example, Kay introduced Restorative Approaches to Iffley Academy, and it is the first special school in the country to achieve the Restorative Services Quality Mark. 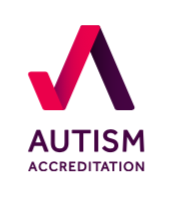 Iffley Academy is working towards accreditation from the Autism Society, using action based research and lesson study, and the recent introduction of a qualified therapeutic support team is designed to support students’ resilience, self-belief, independence and attendance. Kay is a National Leader in Education, working alongside colleagues in Oxfordshire schools to effect positive and lasting change. As Head Teacher of Iffley Academy I am passionate about outcomes for young people with special educational needs and disabilities. I have nine years experience of teaching students with complex needs and was accredited as a Specialist Leader in Education in 2016. In addition to my work at Iffley Academy, I have worked on national projects through Whole School SEND and NASEN, worked on the successful Free School bid for Bloxham Grove Academy and have worked extensively on the Gallery Trust’s wider development. Prior to working in education I worked for Tate Galleries and as the Gallery Manager at Modern Art Oxford. My creative background hugely benefits the work I currently do at Iffley, allowing me to think creatively about curriculum opportunities and ensuring that we provide the very best, broad and balanced curriculum for vulnerable learners in Oxfordshire.